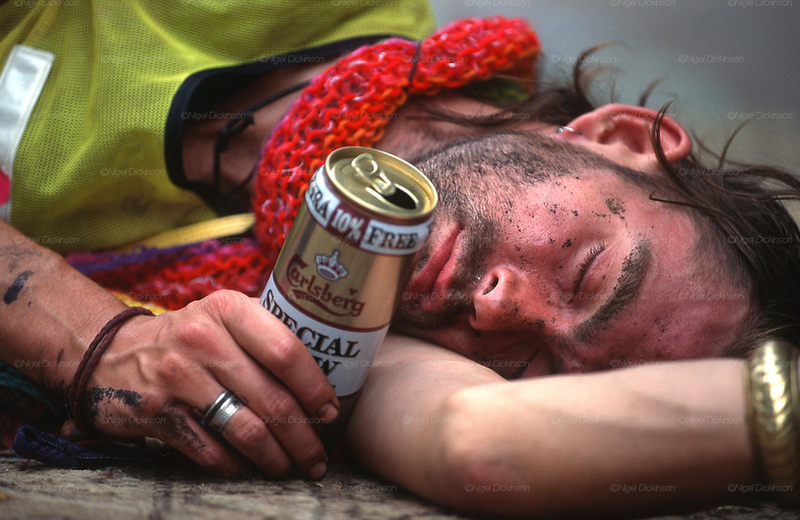 Road protestor squatter asleep with special brew. Claremont Road, Leytonstone, London. Claremont Road, ran immediately next to the Central line, and was completely occupied by protesters. The road became a vibrant squatter community full of site specific art installations. 92-year-old Dolly Watson was an original resident refused the D.O.T's offer to move. She became friends with the road protesters, who named the watchtower, built from scaffold poles, after her.